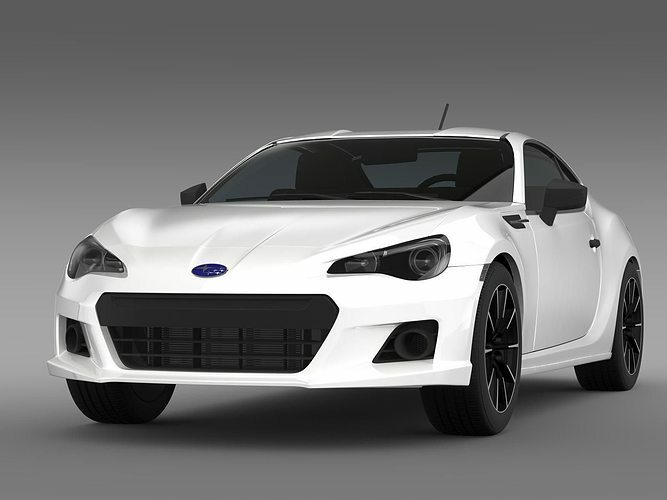 Let me represent you high poly 3d model of Subaru BRZ 2.0RA ZC6 2012 with high detail. Subaru is the automobile manufacturing division of Japanese transportation conglomerate Fuji Heavy Industries (FHI), the twenty-second biggest automaker by production worldwide in 2012. The model is created in real size. This model is created in Autodesk Maya 2012, visualization (rendering) - Mental Ray. If necessary, the product is easy to change or modify. Autodesk Maya mb file contains all the Mental Ray materials and render setup. Contains a texture. Other format without Mental Ray materials. The model is suitable for extream high quality render. Includes formats: .mb, .obj, .fbx, .3ds, .max, .lwo, .xsi, .c4d. Thank you for choosing this product, see also my other work on this site. Always Your Creator_3d.